Still recovering from your blown holiday budget? No judgment here. Get yourself back on track by cutting your spending on kid activities. With a little ingenuity, your kids won’t even notice that you’re not blowing your hard-earned cash on expensive trips to the zoo or a trampoline park. Add these ideas to your activity list for some serious, budget-friendly fun. 1. Make some dough. Your kids can sculpt and build to their hearts’ content with these genius recipes for homemade play-dough. 2. Check out a book. There’s no need for expensive book purchases when you can hang out at the local library. Most libraries also feature free story times, workshops and even puppet shows. 3. Volunteer with animals. Offer your child a chance to make a difference by volunteering with a local humane society. 4. Meet a hero. Take your child to a local fire station to meet a real-life firefighter. Call ahead to make an appointment. Some fire stations even have designated open house times so citizens can meet their heroes. 5. Paint nature. Nature is an amazing medium for artwork. Allow your child to paint rocks, leaves and pinecones for unique, beautiful and free pieces of art. 6. Go for a hike. It doesn’t matter where! 7. Build a fort. Provide a few old sheets and pillows and watch your living room transform into a wild piece of architecture. 8. Plan a scavenger hunt. 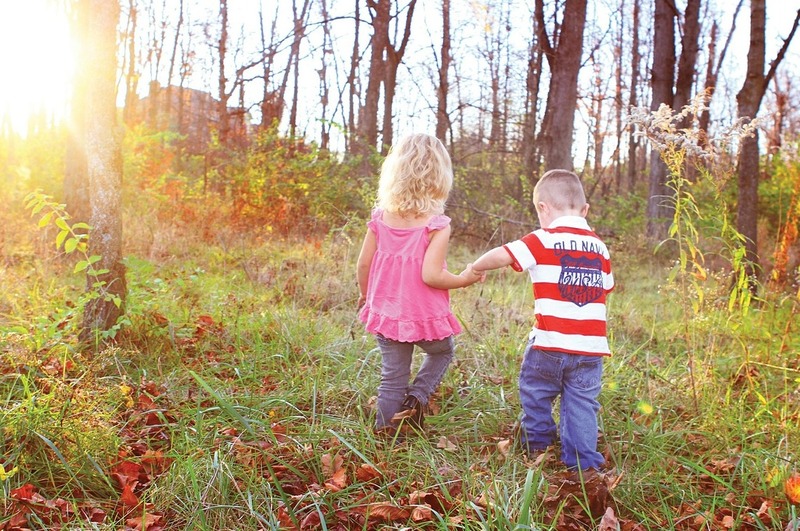 Make a list of 10 things for your kids to find in the neighborhood. Scavenger hunts are free, and they can take several hours to complete. 9. Wander through flowers. Go on a field trip to a local nursery so you can eyeball beautiful flora up close and personal. No purchase necessary. 10. Check out free days. Many museums feature free admission on weekdays or in the mornings. Before you decide museums are too expensive for your budget, call and ask about free days. 11. Plan a meal together. Create a meal from scratch from ingredients you already have on-hand. Your munchkin can collect, measure and garnish for the final touches on dinner. 12. Practice yoga. Yoga does not require a studio. Go to the park and practice a few calming Vinyasa poses together. 13. Run through sprinklers. There’s nothing better than the freedom of frolicking through a sprinkler in the backyard. 14. Bowl. Register your kids at Kids Bowl Free, and they can bowl two free games each day during the summer. 15. Shoot some hoops. If you already own a basketball, this one is a no-brainer. Walk to your local outdoor park with your kid and shoot some hoops to pass the time. 16. Tell stories. Ask your child to write a story. If he or she isn’t comfortable writing alone, take turns writing paragraphs of the tale. 17. Discover a park. Some national parks require an admission fee, but many do not. Not only that, there are designated free admission days to many national parks. Find out which parks are free, and on which days, by visiting the U.S. National Park Service. 18. Write letters. Your child can catch up on snail-mail letters to loved ones, or find a pen pal. 19. Make a mud pie. Playing in the dirt is a fun and messy treat at the end of a long day. 20. Be a builder. Check out a free kids’ building workshop at a home supply store like Home Depot or Lowe’s. You can search for local classes by visiting each site. How will you and your family pass the time on a dime?